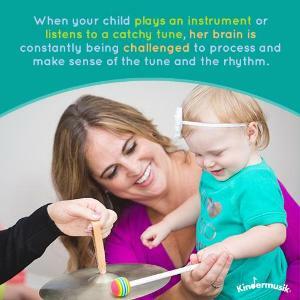 Enjoy music, singing, movement and learning with mixed ages, siblings and the whole family! Unlimited Classes in SB and Goleta to attend at any studio, any morning, afternoon, night or weekend! Family Time Families can attend any Babies or Toddlers, Friday Yoga, Family Time and Music w/ Seniors classes for their Unlimited Subscription value of only $70 a month (2 month minimum) + $30 for At-Home Music kits. Siblings 50% off! Join anytime, classes prorated when you start. Your first class is FREE! A ONE-ROOM SCHOOLHOUSE APPROACH TO MUSIC. With some older children ready to show the little ones how it's done and the younger ones eager to learn,Your children will WIGGLE, MOVE n GROOVE, listen to instruments and learn from each other, and enjoy music, parachute play, airlog bouncing, scooter rides and creative movement with hoops, scarves and tumble-around play. Story time and family jams, and happy singing all the Family Time activities encourage discovery and exploration and foster sharing and social skills too. In this special music class for families, siblings and all ages to enjoy together!